Casing spacers isolate a carrier pipe from the casing. Casing spacers steel material units configured for multi pipe clusters carry several pipes through the same casing. 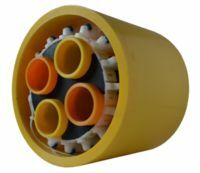 There are many combinations of multiple pipe assemblies available. Split Casings are use to protect existing pipes when roadways, railroads, runway taxiway cross over the pipes. Casing spacers WA-MP steel models may be configured to carry two or several carrier pipes. - Other information relevant to the application (e.g. weight of the pipe, insulation thickness, etc.). "Due to the variety of solutions and configurations before ordering contact us for the best selection". 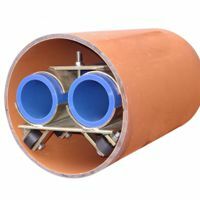 Casing spacers non-metallic units with wheel rollers are also available for small diameter pipes. 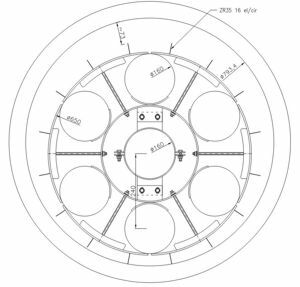 Casing Spacers roller wheel WA-MP- non-metallic models carry two or more small diameter pipe clusters through the same casing. Carrier pipes are separated by holding spacers and wheel roller friction reducing legs assist with the pull through a casing. 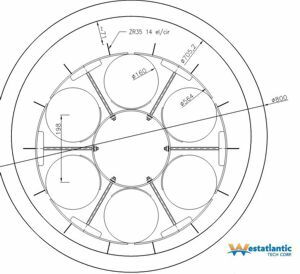 Experienced staff can provide guidance and recomendations - contact Westatlantic for any proposed pipe cluster, many combinations are available. We will calculate a solution for the application. 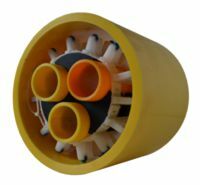 Multi Carrier conduit pipe bundles are designed for multiple carrier pipes through a common casing. HDPE roller wheel casing spacers reduce friction and are especially designed for long runs and sloping installations. Bundles are designed to ensure separation between the pipes. 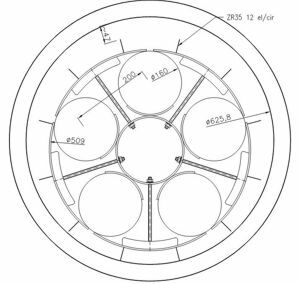 End seals if required use a multi WA-GP design with EDPM or NBR elastomers..
Casing Spacer steel frame bands with non-metallic wheel rollers around the clamp bands are available for many placement arrangements. Spacer materials is 304L stainless or galvanized material. The steel containment bands are combined with non-metallic wheels. 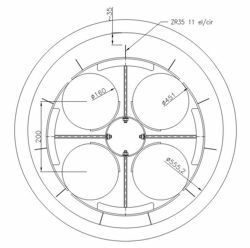 Contact Westatlantic with carrier pipe details and casing sizes. Request a Quote: Westatlantic Tech Corp.